Peripheral artery disease affects the body’s extremities, most often the legs. PAD is commonly the result of atherosclerosis, the buildup of plaque in arteries through the body. 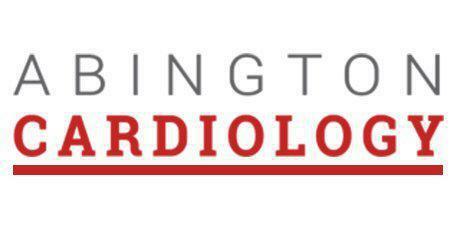 Under a treatment plan created by Dr. Meshkov and the team at Abington Cardiology in Jenkintown, Pennsylvania, the effects and symptoms of PAD can be reversed and your overall cardiac health restored. What are the common symptoms of PAD? The most frequent symptom of PAD may be claudication, or leg pain while walking. It can also occur in the arms and as cramping, instead of an ache or sharp pain. Caused by narrow or clogged arteries, the location of the pain depends on the location of the affected artery. Claudication symptoms occur during activity that uses the affected extremity, such as the calf during walks. The pain usually fades quickly with rest. Pain ranges from mild to severe, with extreme cases of claudication interfering with the sufferer’s ability to function or perform physical activity. Besides pain, are there other symptoms? When PAD advances, pain and other symptoms may happen even when the patient rests, making sleep difficult. With early detection, the symptoms of PAD can be eased and even reversed. Treatment focuses on symptom reduction and halting the progression of the condition, but it’s not uncommon for improvements to occur. Increased physical activity helps, although this may be difficult if it triggers PAD pain. Dr. Meshkov may recommend a treatment program including supervised exercise, gradually building in intensity. Low-fat, low-cholesterol diet changes also contribute to reduced symptoms and cholesterol reducing drugs may be prescribed. Smoking is an extreme risk factor for PAD and other cardiac conditions. Quitting smoking continues to be a major factor in improving overall health. Treatment for severe cases of PAD include angioplasty and stent placement or even surgery in extreme cases.